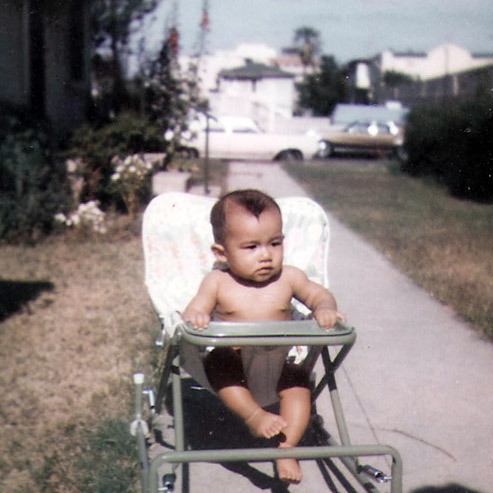 My at 6 months old (May 1972), getting a walker suntan in front of my babyhood home near Berendo Street and Fountain Avenue in East Hollywood. Today is my birthday, which means I’m also celebrating 41 years living in the 13th District – the longest of any of the 20 candidates in the CD13 race. This is where I went to school, learned piano, learned to use a computer, learned to ride a bike, created art, volunteered, got my first paying job, and most importantly, had the opportunity to serve my community. From an East Hollywood childhood, to working in Silver Lake, to learning about neighborhood beautification in Echo Park, to supporting businesses in Atwater Village, to serving senior veterans in Historic Filipinotown, the 13th District is my life. Here, I’ve proudly witnessed the Olympic torch run through Vermont Avenue in 1984, and also saw numerous buildings get torched on the same street eight years later during the ’92 Riots. Here, I’ve made friendships and romantic relationships, and also had a gun pointed at me. I’ve lived through the good times and bad. The 13th District isn’t a jurisdiction of political opportunity, it’s my home, and I’m proud to call this place home for the past 41 years. I’m running for City Council in the March 5 election because I want others, whether they have lived here for 41 years or 41 hours, to be proud of where they live too, and make it even better.